It's our mission to power the world with sunshine. It’s our job to be at the heart of intelligent energy software innovation. That's why every year you can find Powerhouse at Intersolar hosting Powerhouse Pavilion and Powerhouse Circle. Powerhouse Pavilion at Intersolar features a curated selection of 11 ingenious intelligent energy startups from within the Powerhouse community who demonstrate their innovative energy solutions expo style. into the forefront of solar software innovation. Startups see Powerhouse Circle as a gateway to access top industry executives and investors. Industry leaders recognize Powerhouse Circle as the most effective way to capitalize on some of the best startup deal flow in the nation. Powerhouse Circle brings together 25 founders and CEOs of intelligent energy startups, and 25 industry executives and investors for some intense speed dating. Powerhouse Circle attendees include senior executives from SunPower and SunRun, as well as VCs like Obvious Ventures and Prelude Ventures. This isn't a 5-minute pitch on stage at demo day. This is a true elevator pitch and 90 seconds is plenty of time to determine if the pair wants to continue the conversation. You just did two months work for me in two hours. Powerhouse Pavilion at Intersolar features a curated selection of solar software startups from within the Powerhouse community, who demonstrate their innovative concepts expo style. Last year, the Pavilion featured 13 of our most ingenious startups including: UtilityAPI, PVComplete, Powerhive, Photon, PVBid, SolarNexus, Solar Analytics, Pick My Solar, Geostellar, Faraday, and Birksun. Startups see Powerhouse Circle as a gateway to access top industry executives and investors. Industry leaders recognize Powerhouse Circle as the most effective way to capitalize on some of the best startup deal flow in the nation. 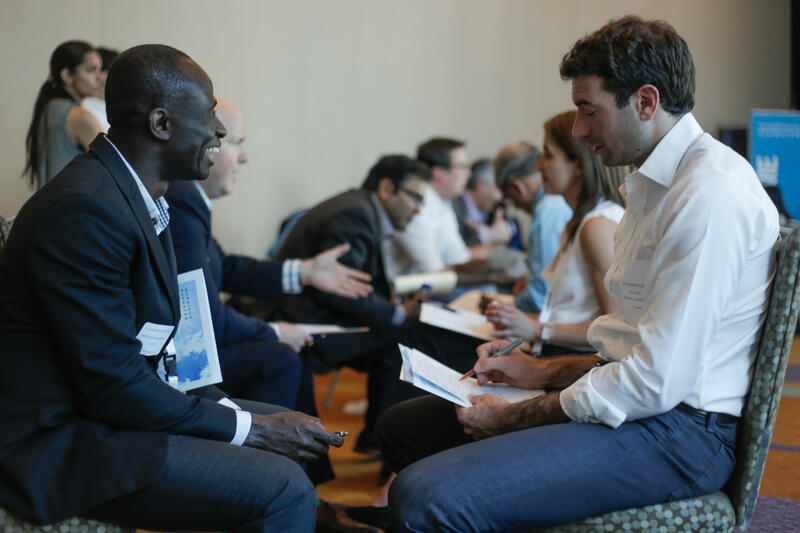 Powerhouse Circle brings together 25 founders and CEOs of solar startups, and 25 industry executives and investors for some intense investor speed dating. Previous Powerhouse Circle attendees include senior executives from SunPower, SolarCity, and SunRun, as well as VCs such as Obvious Ventures, Prelude Ventures, and DBL Investors.